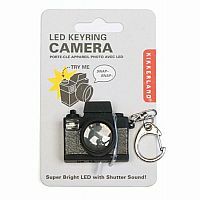 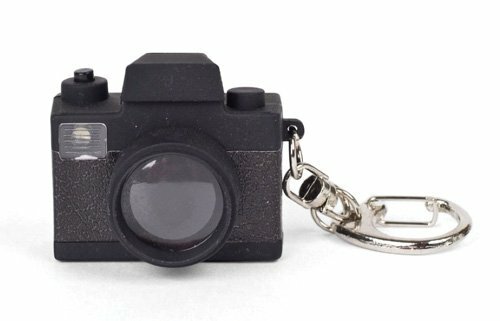 Camera keychain makes shutter sound and flashes LED light when button is pressed. 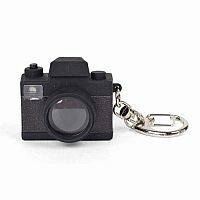 Camera does not take pictures. 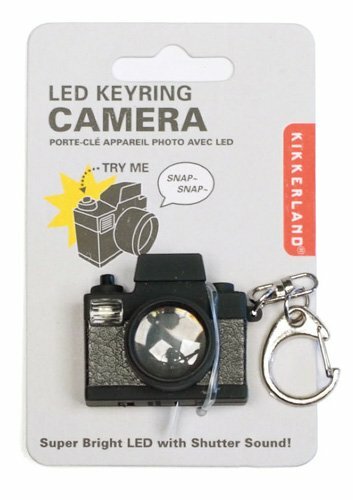 Novelty item only.